On Meditation: What it is. . . NOTE TO READERS: In light of the contemplative spiritual movement’s influence over evangelicalism among its publishers, educational institutions, churches and pastors, this writing by Dr. Griffith-Thomas is reproduced. From Scripture he informs seekers about what meditation is. In discussion about contemplative spirituality many of us have warned, and justifiably so, about the dangers of meditation and what contemplation is not. Yet in this chapter titled “Meditation” written a century ago, Thomas in his book Grace and Power reminds seeking readers about what Godly meditation is. Read this and be blessed! The spiritual life which becomes ours, and is constantly realized by means of Justification, Sanctification and Consecration, must be maintained and sustained if it is to grow and increase in vigor, power, and blessing. Spiritual life in the true sense of the term is far more than spiritual existence; it implies strength, vigor, progress, joy, and satisfaction. “I am come that they might have life and that they might have it more abundantly” (John 10:10). This abundant life is the only life that will really influence others and fully realize the will of God. For the maintenance of spiritual life certain conditions are necessary. As with physical life, so with spiritual life, we have to use means and fulfill requirements, and this, not intermittently, but as the habit of our life. It is with the chief means or methods that we shall be concerned in this and the remaining chapters. Taking an illustration from the body, let us bear in mind that for the maintenance and furtherance of spiritual life we require good food, pure air, and regular exercise. To the first of these we now turn our attention, when we speak of meditation. The “good food” is, of course, the food of the Word of God, for as food builds up the tissues of the body, repairs waste, and preserves us in health, so the Word of God is the complete food of the soul. It is noteworthy that we have it brought before us in the Bible as milk for babes (I Pet. 2:2; I Cor. 3:2), as strong meat for adults (Heb. 5:14), affording us the necessary constituents of spiritual nutrition, and as honey (Ps. 19:10) suggesting the pleasure and enjoyment of dessert in addition to the food actually necessary for life and work (Jer. 15:16). One of these is the Word of God, that revelation of God’s will which is enshrined in the Old and New Testament Scriptures. The counsel to Joshua emphasized this (Josh. 1:8), and the description of the truly blessed man makes meditation a prominent feature (Ps. 1:2-3). The great Bible Psalm (119.) has at least seven references to meditation, while the value and necessity of the Word of God to the godly life is the outstanding feature of the whole psalm. Let it be clearly and constantly borne in mind that no true Christian living is possible apart from meditation on the Word of God. Meditation is also to be exercised on the Works of God. The Psalmist realized the value of this form of meditation (Ps. 105:2 and 143:5). The works of God in Creation, the actions and activities of God in history and general providence, the dealing of God in our own experience and in particular providences, are all fit subjects for meditation, and should all have their place in our thought and life. But above and beyond all, our meditation should be centered upon God Himself. “My meditation of Him” (Ps. 104:34). “I will meditate on Thee” (Ps. 63:6). Our use of God’s Word and God’s Works is only intended to lead us up to the consideration and contemplation of God Himself, and on Him we must ever fix our gaze. God first, God everywhere, is the secret of the “highest” Christian life. It is important to notice that meditation is no where associated with ourselves, or our sin, as the subjects. Such an attitude of introspection would be as unhealthy as it would prove discouraging and disheartening. To be occupied with ourselves is dangerous; to be occupied with our sin is depressing, for we cannot fathom either the treachery and deceitfulness of our hearts, or gauge the depths of our depravity. But if our hearts are led out from themselves and fastened on God, then “in His light we shall see light” on ourselves, and see ourselves as we really are, while the same gaze will also lead us to the secret of grace and blessing in God Himself. It is sometimes said, “For one look at self, take ten looks at Christ.” But why not take eleven looks at Christ and none at self? It might be infinitely more profitable. How shall we meditate? What does it mean? Meditation must be real. It must be “the meditation of my heart” (Ps. 49:3), and “the heart” in Scripture means the centre of the moral being, including the intellect, the emotions, and the will. It implies that we come to the Word to be searched thoroughly, guided definitely, and strengthened effectually. It is not a time for dreamy, vague imaginings, but for living, actual blessing, whether in the form of guidance, warning, comfort, or counsel. Meditation will also be practical. What are its stages or elements? First, the careful reading of the particular passage or subject, thinking over its real and original meaning. Next, a hearty turning of it into prayer for mercy and grace that its teaching may become part of my life. Next, a sincere transfusion of it into a resolution that my life shall reproduce it. Lastly, a whole-hearted surrender to, and trust in God for power to practice it forthwith, and constantly, throughout the day. It is to be noted that the word “meditate,” in our English version, represents two Hebrew words—one meaning to “muse” or “think,” and the other implying “speech,” or audible thinking (see Ps. 5:1). These two elements should always be blended; thinking over the Word, its meaning, its application, its message, and then talking to God about it, in confession of past failures, in prayer for future blessing, in fellowship in present joys or needs. Thus will meditation become so practical, so vital, so blessed that we shall find in it our chief joy, and our indispensable daily power for service. We have necessarily anticipated this in some degree, but let us note more definitely a threefold result of meditation. The first is Spiritual Strength. When we study carefully the description of the blessed man in Psalm 1, we see very clearly his spiritual strength by reason of his meditation. He is as the tree as contrasted with the chaff—steadfast and dependable, because rooted in the strength of God. Why did St. John say the young men were strong? Because the Word of God was abiding in them (I John 2:12-14). When do none of the steps of the righteous slide? When the law of God is in the heart (Ps. 37:31). When do we not sin against God ? When His Word is hidden in our hearts (Ps. 119:11). Then comes Spiritual Success. Twice at least is “prosperity” associated with meditation of God’s Word (Josh. 1:8-9; Ps. 1:2-3). And even if we translate “do wisely,” instead of “prosper,” we get the same idea, for it is abundantly evident from the New Testament that spiritual wisdom and perception come from the knowledge of God’s Word and fellowship with Him (Phil. 1:9-10; Col. 1:9). All Christian experience testifies to blessing, power, and prosperity in spiritual life and service in exact proportion to meditation of the Word of God. Not least is Spiritual Satisfaction. “My meditation of Him shall be sweet.” Is it not so? “How sweet are Thy words to my taste” (Ps. 119:103). The physical enjoyment of food and dessert is but a faint illustration of the joy of the Word in the heart. “Thy words were found, and I did eat them; they were to me the joy and rejoicing of my heart” (Jer. 15:16). “I rejoice at Thy Word as one that findeth great spoil” (Ps. 119:62). If we look at the titles of the Scriptures given in Psalm 119 such as ordinances, statutes, judgments, we see that they are words which, as a rule, we associate with what is dry and dull and uninteresting! Yet these very statutes were a delight, a joy, a supreme satisfaction to the Psalmist, and so it ever is if our hearts are right with God. “How precious are Thy thoughts unto me, O God” (Ps. 139:17). There is, of course, a sense in which our thoughts should ever be turning to God and His Truth. “All the day long is my study in it” (Ps. 119:97). The attitude of our souls, if in a healthy state, will ever tend to the recollection of God whenever the opportunity occurs. But this attitude is only possible by means of stated times for meditation. These are the occasions for providing fuel for daily use. Now, there can be no doubt that early morning is the very best time for this. The body is rested, the brain is free and unencumbered, and hence the receptive powers are more available. It may not be possible to spend much time; but let no one be discouraged because of this, for quality is the desideratum, and that can be put into even five minutes. Let the attempt be made with five minutes on a single text, or phrase of a text, and the exercise will soon justify itself, and a hunger will spring up for five minutes more! And it will soon be found how marvelously we are able to do without that extra five minutes’ sleep! Let but the time, long or short, be well spent, and the fruit will be quick to appear and lasting in effect. Once more, night is often an opportunity for meditation (Ps. 63:6), and if so it be, let us use it well. Before retiring to rest, let the heart be bathed in the water of the Word (Eph. 5:26), and then if “in the night we sleepless lie,” the Word will “heavenly thoughts supply.” In any case, however, and whatever our circumstances, we must find time, and make time, and take time for this blessed exercise of meditation. And it is marvelous how easy is that apparently impossible task of making time. It is hardly possible to exaggerate the importance of the meditation of Scripture for the maintenance and progress of the spiritual life. The Bible enters into every part of our experience, because it is the revelation of God on which our life is necessarily based and to which it should make a constant response. And for this reason no life can be either safe or strong that does not put meditation of Scripture in the forefront. It should be with us as with the Psalmist, “I thought on my ways and turned my feet unto Thy testimonies” (Ps. 119:59), and with the Prophet, “Thy words were found and I did eat them: and Thy word was unto me the joy and rejoicing of mine heart; for I am called by Thy name, O Lord God of Hosts” (Jer. 15:16). Our contact with the Word of God will thus be an exact test of our discipleship and character. The Bible is the mirror in which we see ourselves as we are and as God sees us, and it must be evident that if we never use, or rarely use, the mirror we cannot be sure of our real state before God. Christianity is largely a matter of the condition of soul, stress is laid on character, and character is power. Now, character needs solitude for growth; solitude is “the mother country of the strong”; but solitude without the Bible tends towards morbidity, while with the Bible it is a guarantee of vitality and vigor. Let us, then, be sure that amid the hurry, flurry, scurry, and worry of life we “take time to be holy” by means of meditation on God in His Word. Let not even Christian work rob us of this secret of true service and blessing. Let the superficiality of many lives warn us “to give attention to reading,” to meditate on these things, “that our profiting may appear to all,” and also glorify God. Like the Psalmist, let us be able to remember past seasons of blessed meditation (Ps. 119:23) to realize present seasons of equally blessed privilege (Ps. 119:97) and to resolve that the future shall also be full of such seasons of life and health and joy (Ps. 119:15). The author: Educated at King’s College, London, and Christ Church, Oxford, and ordained to the Anglican ministry in 1886, W.H. 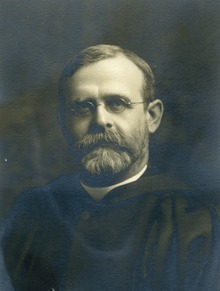 Griffith Thomas, D.D. (1861-1924) served as Vicar at St. Paul’s for eleven years and then Wycliffe Hall, Oxford, for five years. In 1910 he accepted a professorship at Wycliffe College in Toronto, Canada for nine years. In 1919 he moved to Philadelphia, Pennsylvania from where he travelled extensively and ministered all over the world. He became known as an outstanding Keswick Bible teacher, preacher and lecturer. Through his devotional commentaries—Genesis, Romans, The Apostle Peter, The Apostle John, Hebrews—and many other devotional works, including Grace and Power, he became equally known as a writer throughout the Anglo-Saxon world. Together with the American Presbyterian evangelist Lewis Sperry Chafer (1871-1952) and Canadian Presbyterian missionary-pastor A.B. Winchester (1858-1943), he helped to found Dallas Theological Seminary though because of death, never taught there. With but minor alterations (Scripture references changed from Roman to English numerals), this chapter appears as Thomas wrote it. THE ‘BLESSED HOPE’ OR PROFIT WATCHING? Yet another mega prophecy conference is scheduled this weekend, which organizers have billed as the “World’s Biggest Prophecy Conference.” It promises to be a gathering of 2,000 or more prophecy followers worldwide who will be shelling out hundreds of dollars to hear 33 “incredible, world-class Bible teachers!” and “fabulous prophecy experts” in Norman, Oklahoma, October 13-15th. 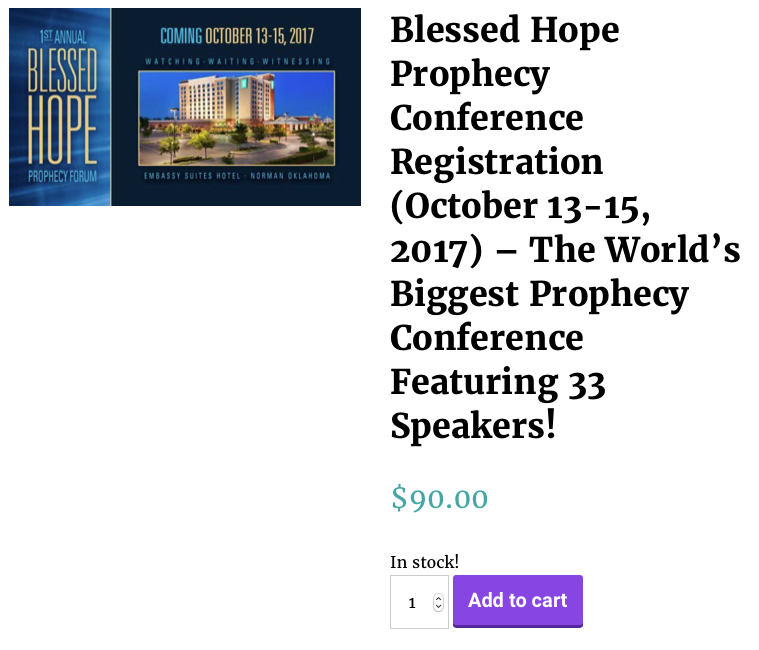 They’re calling this event The Blessed Hope Prophecy Forum, a clever, biblical-sounding hook which is sure to attract many conservative Bible-believing Christians to the venue—and the book tables$$$. 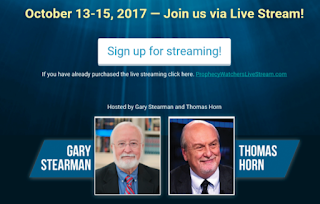 The conference is hosted by none other than The Prophecy Watchers (Gary Stearman), and SkyWatch TV (Tom Horn). We’ve added quite a few brand new (but well-known) speakers this year—33 SPEAKERS in all! There’s nothing quite like a Prophecy Watchers conference. You will get the chance to meet many of your favorites authors and speakers face to face—heroes of the faith to many of you…. Just look at this fabulous list of prophecy experts . . . But take note: attendee$ should arrive with plenty of ca$h. Not including tran$portation, food, & lodging, regi$tration for the event is $90, Live $treaming is $80, and the DVD pre-order for DVD$ is $179.95 ($230 after the conference). Multiply these number$ by 2000 plus conference goer$, then add in book & DVD sale$. How much of this money is going into the coffer$ of Prophecy Watcher$ and $kyWatch TV? Should all this “prophecy mongering” concern us? One can only hope that conference attendees will be so overwhelmed and overloaded by the speaking schedule that they will miss the most egregious teachings on the itinerary. Unfortunately, however, they probably won’t be able to bypass the glittery book tables between sessions (enough anomalous material to potentially fill an auditorium). Take another look at that list of speakers for this conference. Do you see any names that surprise you? Names of people you thought were rock solid? Why are these people on the same list with Tom Horn and company—pledging to share a giant platform with them?! Don't they realize that their very presence on the roster lends legitimacy to some of the more flagrantly occult speakers? Have they publicly stated that they intend to use their platform to warn the conference attendees about these other speakers? Or are they hoping to ca$h in on the popularity and pizzazz of this increasingly popular prophecy circuit? "Prophecy watchers morphing into a mixed Apocalyptic bag"
Below is the list of the BHPF speakers with their proposed topic titles. Compare the topics. Do you see anything off kilter? Ask yourself what many of these conspiratorial type issues have in common with “the Blessed Hope” found in Titus 2:13 or even basic Bible prophecy for that matter. As you scroll down this topics list, ask how much of this sounds like the “fake news” that has caused so much concern on both sides of the aisle in politics this past year. Does this alarm you? Are these speakers dealing in actual documented facts and truth? Or are they engaging in “evil surmisings” (see 1 Tim. 6:3-5) and zany speculations? Are these “prophecy experts” reading their Bibles and encouraging believers about the soon return of Jesus Christ? Or are they racing after the latest fads, fake news, the hottest conspiracy theories, or digging into obscure ancient occult mythologies? Gary Frazier - Are You Ready? L.A. Marzulli - Fatima: Miracle of the Sun? Or a Harbinger of Deception? Carl Teichrib* - Is God Green? Terry James* - Are You Rapture Ready? Or Not? Andy Woods - Is the Rapture in II Thessalonians 2:3? Do you see the stark dissonance regarding these dark topics and deviant ideas? It’s as though everyone is playing a different instrument at the same time, out of tune and lacking harmony. It’s noisy and distracting—and muffles the true message of our Lord Jesus Christ. A few of the topics such as “The Last Days Apostasy,” “Urgent Last Days Evangelism,” “the Imminence of Hell,” “Wake up the Bride,” and “Rapture Discussion” sound like they could potentially be biblical discussions; if they are based on Scripture, and present a solid biblical message, these topics might lead the conference registrants to true repentance and holy living with a view to the 2nd Coming of Christ. 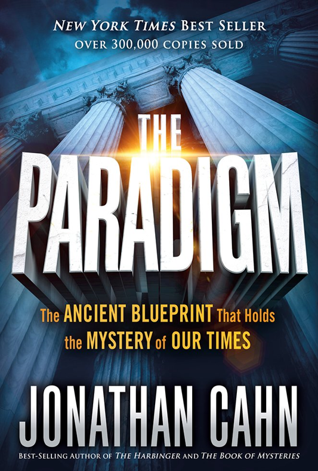 But notice these other topics: “Podesta & Wikileaks,” “[Aleister] Crowley, ET Disclosures,” “Watchers Matrix,” “Empire of the Gods,” “The Ancient Prophecy of Gad the Seer,” “Oneness in the Temple of Man,” “The Deeper State: Inside the war on Trump,” and “Nephilim Discussion.” These are topics not clearly taught in the prophetic books of the Bible canon. They certainly do not point to the Lord Jesus Christ. These are clashing tones that might tickle ears, but do not edify the believer. Again, why are some of these men, especially those who have historically taught plain biblical doctrine, sharing a podium with the Postmodern Prophecy Paradigm standouts spouting their profoundly unbiblical teachings? What does God think of this mixture? What messages will win out with attendees? Do these men bear any responsibility for shepherding others into the open arms of obvious apostasy? There is a history to our concerns about this mega prophecy conference that is co-sponsored by SkyWatch TV and run by author and publisher Tom Horn. This history should alarm every serious Christian and Bible student, and cause them to ask serious questions about the high-profile figures involved with this event. Back in 2011, I shared an unfortunate experience with readers when I first encountered these teachings. 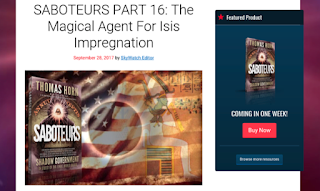 My experience and subsequent research ignited me, along with the Discernment Research Group, to write more than fifty articles exposing the exotically false teachings of Horn, and several of his big-name collaborators. We dubbed all of this the Postmodern Prophecy Paradigm (PPP). 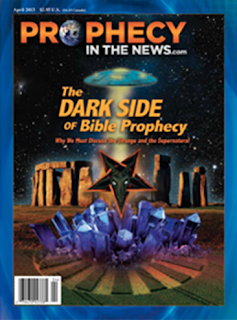 All of these unbiblical PPP teachings share a shifting foundation of inventing new endtime prophecy scenarios that rely upon an unlimited variety of extrabiblical sources—current news events (including potentially fake news), ancient mythology, dark occult sources, and Hollywood science fiction. Worse, many of them rely upon secret codes supposedly embedded in the Bible (not the plain text), ancient occult mythological texts, or even historical political documents. The key takeaway from all this mess is that the Bible is no longer sufficient, and the plain words of Jesus, recorded in the Gospels where He speaks clearly about His soon return, are no longer sufficient—these leaders feel they must glean additional information from terribly outrageous, sometimes downright sinister, extrabiblical sources. Prayer Warfare methodologies conceived and borne out of the Latter Rain Movement and nurtured under the New Apostolic Reformation are going mainstream. Twenty years ago, Chief NAR apostle, C. Peter Wagner, applied his Church Growth teachings to the spirit realm in what he termed Strategic Level Spiritual Warfare (SLSW). The plan calls for identifying “territorial spirits” (demons) of a geographic locality, then devising practices (such as militant intercession and fasting) and techniques to defeat these unseen foes so that cities, nations, and beyond will respond to the Gospel. Facing godlike machines and man’s willingness to cross over species and extradimensional barriers put in place by God, traditional methods of spiritual warfare—which Christian institutions have relied on for the last century—will soon be monumentally impacted in nontraditional ways and insufficient when approaching this threshold. 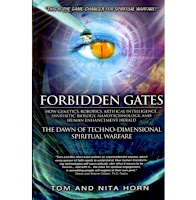 Tom and Nita Horn’s Forbidden Gates was the book that began my extensive PPP odyssey. This book's popularity sadly continues after all these years. 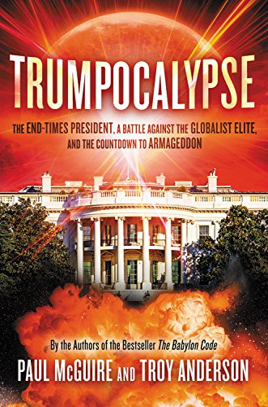 This deeply troubling book (and the many others that he has written, published and/or widely disseminated since) was a key vehicle for smuggling profound heresy into conservative Christian prophecy forums unawares. After reading Horn's book my research continued ad nauseum as I slogged through hundreds and hundreds of pages of the creepiest, shadowy, and mythologically pornographic material ever published—all supposedly derived or inspired by prophesy in the Holy Scriptures. It is noteworthy that I did not attend this 2011 conference—the Red River Bible and Prophecy Conference (RRBP) in Fargo/Moorhead, ND/MN—as a researcher, but as someone seeking edification through the Word being taught from the platform, which was still done in those days. I never imagined that this trip would lead where it did. Horn's book itself was the vehicle for deception, but it took another human agency to fully accomplish the deed. I bought this book from the respected Canadian researcher Carl Teichrib, founder and editor of Forcing Change, and a trusted LHT author. Teichrib was promoting the Horns’ book from the podium and was selling Forbidden Gates at his book table. I bought a copy—partly out of trust in the conservative venue—but also in the man promoting its contents. I have since lost faith in both. Considering the number of Forbidden Gates on display at this conference, I’ve often wondered what effect it had on others who purchased it. The RRBP Conference experienced a terrible split a few years later due to these strange teachings that began creeping into the event via the speaking platform of various PPP leaders. One of the initial organizers pulled out of the organization for good when serial plagiarist and quantum mystic Chuck Missler was invited to headline the event in 2012. 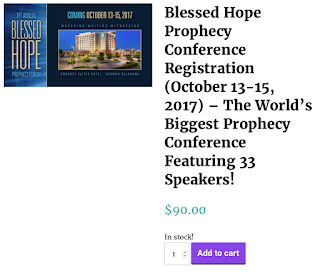 Missler is not speaking at the Blessed Hope Prophecy Forum, but he did so at last year’s Rocky Mountain conference, via live streaming, in Colorado. To date, the Red River Bible & Prophecy Conference continues to devolve into a PPP fest. Headlining the RRBP event this year (and in 2018) is PPP personality Paul McGuire, whom we cautioned readers about in our article “Techno-Dimensional Prayer Combat,” who is also listed as a speaker at this year's Blessed Hope Prophecy Forum Oct. 13-15th. Note: the RRBP continues to list Dave Hunt as a former speaker in its promotions, probably in an attempt to use his name to convey legitimacy. We like to think that Dave would have parted ways with this event long ago if he knew what it has become, and would not have been a party to this current Blessed Hope Prophecy Forum. So what is Game of Gods about, and how does the manuscript break down? The book is a Christian-based survey and journey into Oneness, with an associated thought; we are surpassing Postmodernism and moving into the age of Re-enchantment…. 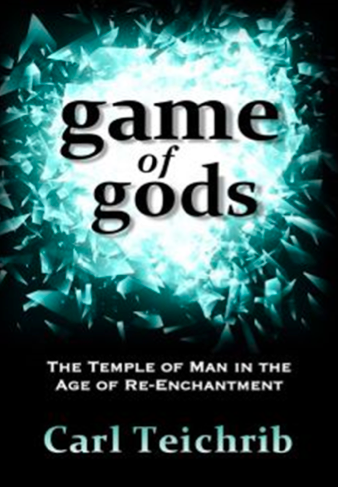 Game of Gods explores Oneness, and does so in a manner that allows you to see into its heart. 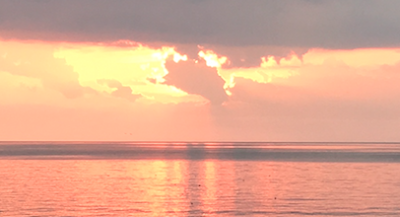 Along the way, I bring you with me as I witness Oneness in motion at the United Nations, New Age and Pagan gatherings, major interfaith conferences, transhumanist events, and transformational celebrations. This is more than a dry academic exercise. It’s a personal journey. Given that Teichrib has found safe harbor within the Postmodern Prophecy Paradigm (PPP) camp, his PPP-immersed audience could find this description very tantalizing. These New Age, pagan, and mystical themes are ominously provocative. One wonders if the Blessed Hope, our coming Lord Jesus Christ, is even mentioned in this ocean of darkness, let alone the proclamation of His eternal Gospel? Where is the focus? Yet, this promo is just one example that raises concerns. Teichrib is not the only presenter marketing a new book at this Norman, Oklahoma, event. Many others are ca$hing in on this deception. . . . Without ever hearing an actual word out of the mouths of these men, do you get an uncomfortable chill when you read these supposed biblical prophecy themes? It is also painfully apparent that Horn and company have found yet another way to broaden their influence and readership—invite more conventional, traditional, and conservative Bible teachers to their massive events, who will in turn, attract their respective followings. The Postmodern Prophecy Paradigm (PPP) elite—who have concocted and promulgated a multi-faceted, metaphysical shift beyond credulity via conjecture, Scripture wresting, and pseudoscience—are luring God’s flock through perilous pastures and into the dark abyss by posing as enlightened shepherds. The only remedy is for those who’ve wandered into the PPP fold to return to the Good Shepherd and His Word which alone can light the pathway home. Whatever it may be in our Christian experience that originates outside of Scriptures should, for that very reason, be suspect until it can be shown to be in accord with them. If it should be found to be contrary to the Word of revealed truth no true Christian will accept it as being from God. However high the emotional content, no experience can be proved to be genuine unless we can find chapter and verse authority for it in Scriptures. "To the word and to the testimony" must always be the last and final proof. Whatever is new or singular should also be viewed with caution until it can furnish scriptural proof of its validity. 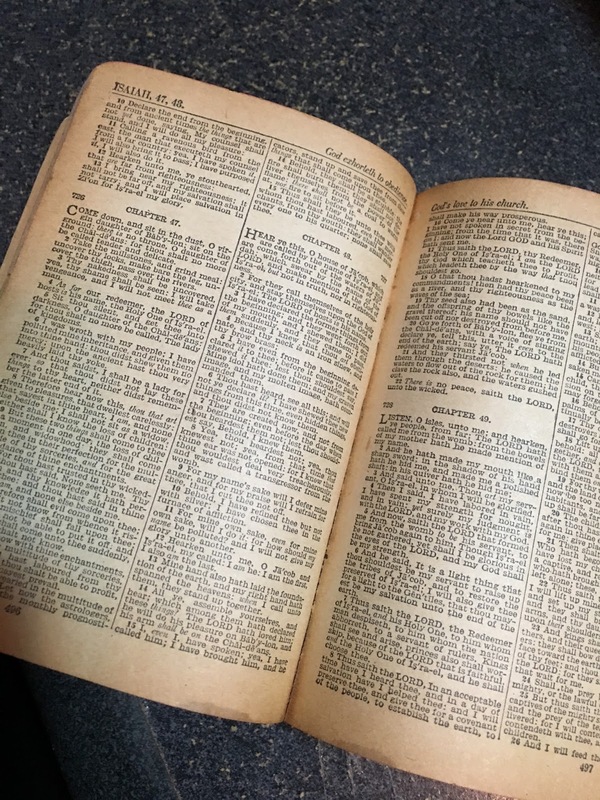 Throughout the twentieth century quite a number of unscriptural notions have gained acceptance among Christians by claiming that they were among truths that were to be revealed in the last days. The truth is that the Bible does not teach that there will be new light and advanced spiritual experiences in the latter days; it teaches the exact opposite! Nothing in Daniel or the New Testament epistles can be tortured into advocating the idea that we of the end of the Christian era shall enjoy light that was not known at its beginning. and that they might have [it] more abundantly. 1. See: Prophecy Watchers website; https://prophecywatchers.com/product/blessed-hope-prophecy-forum-registration-october-13-15-2017/. 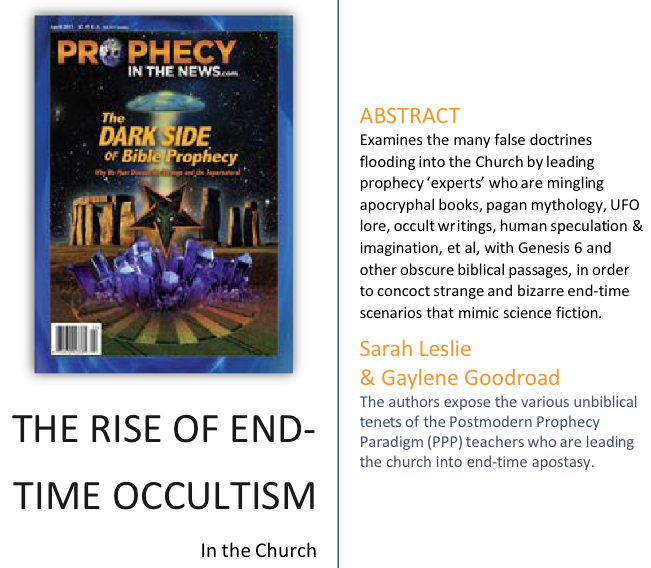 See also the WND article: “The meaning behind wars, earthquakes, floods - Prophecy Forum brings together superstars of end-times analysis; http://www.wnd.com/2017/09/the-meaning-behind-wars-earthquakes-floods/. 2. Ibid. Prophecy Watchers website. 3. See footnote #11. Pertaining to Stearman specifically, see Part 5 of the “Cosms, Codes, & Cryptologies” series, “Quantum Teleporting Through Time”; http://herescope.blogspot.com/2012/05/quantum-teleporting-through-time.html. 4. Ibid. Prophecy Watchers website. 5. See: Prophecy Watchers website; https://prophecywatchers.com/blessed-hope-prophecy-forum-norman-ok/. 6. 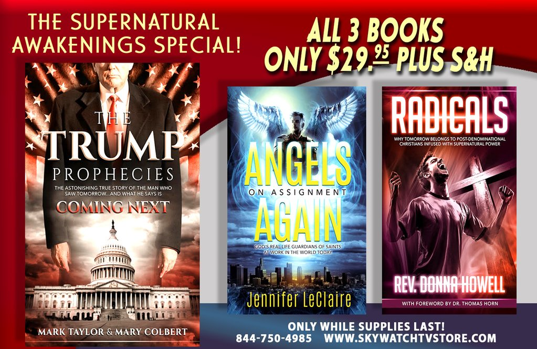 See The Prophecy Watchers website: https://prophecywatchers.com/product/usa-onlylive-streaming-option-2-blessed-hope-prophecy-forum-discounted-2017-pre-sale-dvd-sets-october-13-15-2017/. 7. 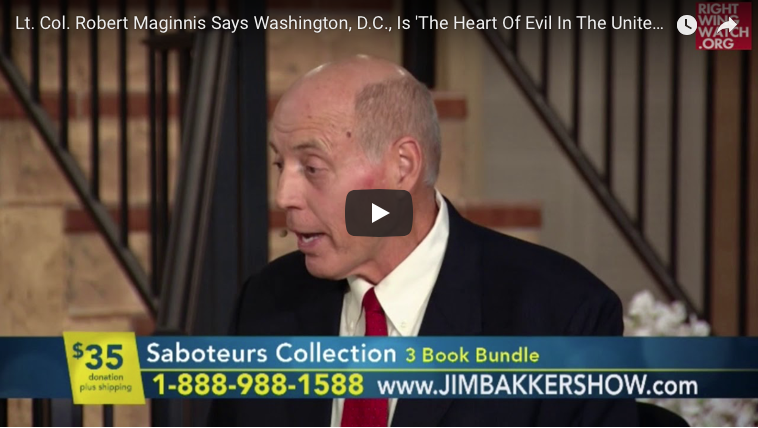 Just as one example, there is Dr. Ben Gigi is an Israeli born Hebrew expert who appears on many Messianic Christian programs, but so far as I can tell he makes no clear profession of faith in the Christian Messiah, the Lord Jesus Christ. He claims that one can only understand God—through the Hebrew language itself. His website is called Hebrew World and is a Jewish website; see: http://www.hebrewworld.com/. But what would this mean for the New Testament, which was written in Greek and gives Christians the Gospels and Church doctrine? Ben Gigi’s Hebrew Roots views become quite problematic in this context. SkyWatch TV host, Derek Gilbert, interviewed him on View from the Bunker (VFTB) podcast at the Orlando Prophecy Conference in 2014, where they discussed the importance of knowing Hebrew. See: http://www.vftb.net/?p=5069. See also: http://www.nmjewishhistory.org/Sept-07.pdf and Hebrew Roots pastor Mark Biltz’s website: http://www.elshaddaiministries.us/messages/guest_speakers/dannyben-gigi.php. 8. See The Prophecy Watchers website: https://prophecywatchers.com/blessed-hope-prophecy-forum-norman-ok/. 9. See: Prophecy Watchers website; https://prophecywatchers.com/product/blessed-hope-prophecy-forum-registration-october-13-15-2017/. 10. See SkyWatch TV website: http://skywatchtv.com/about/. Part 4: False Eschatology Arising! 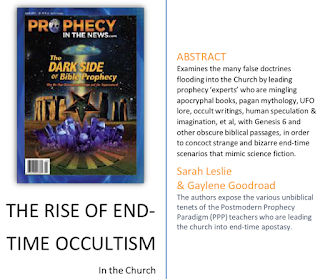 "Nephilim Eschatology: A Crash Course in the Emerging Endtime Prophecy Heresy"
14. See Carl’s listing on Lighthouse Trails (LHT): http://www.lighthousetrails.com/2015-carl-teichrib, and also: http://www.lighthousetrails.com/5-browse-by-author. See his LHT bio: http://www.lighthousetrails.com/2015-carl-teichrib. 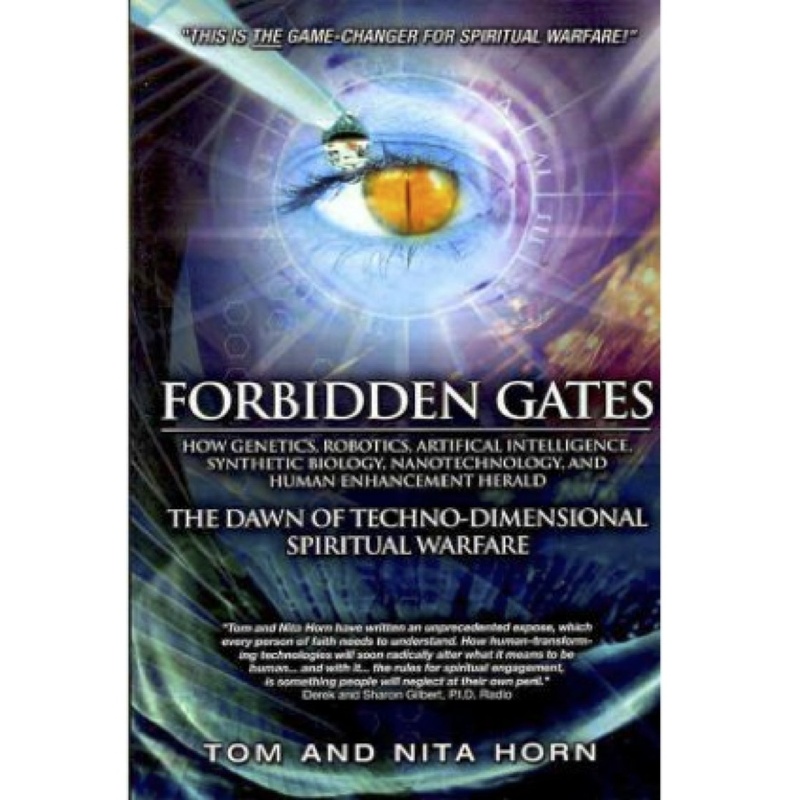 Please note that I personally corresponded with Teichrib in April of 2011 over these issues, but he disagreed with my assessment of Forbidden Gates and vigorously defended his association with Horn. 15. Pastor Glenn Knudson gives a critical assessment of Missler’s presentation at the 2012 Red River Bible Prophecy Conference in Fargo/Moorhead. 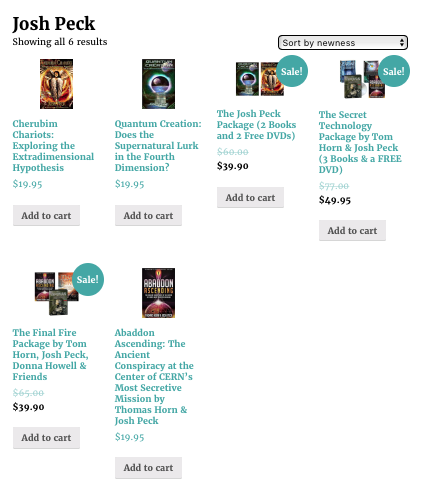 See: Sarah H. Leslie’s book review of Missler’s, “Quantum Metaphysics - A New Cosmology for the Church, Part 4 Alien Encounters: A Book Review” [authored by Missler], Herescope July 30, 2013; http://herescope.blogspot.com/2013/07/quantum-metaphysics.html. 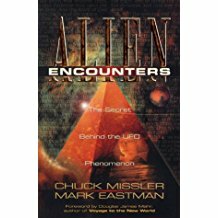 Sadly, there are still evangelicals who don't recognize the extreme occult and inflammatory teachings that Missler promoted in his book Alien Encounters. 16. Pastor Knudson pastors a small church in Fargo, ND. 17. See the Prophecy Watchers website: https://prophecywatchers.com/rocky-mountain-prophecy-conference-2016/. 20. 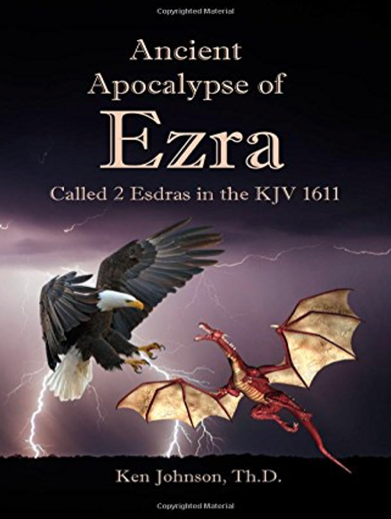 See the Red River Prophecy & Bible conference website: http://www.titus213hope.com/. 21. See the Prophecy Watchers website: (2015) https://prophecywatchers.com/videos/rocky-mountain-international-prophecy-conference-announcement/ and (2016) https://prophecywatchers.com/rocky-mountain-prophecy-conference-2016/. 22. See: Prophecy Watchers website; https://prophecywatchers.com/product/blessed-hope-prophecy-forum-registration-october-13-15-2017/. 23. Read our 9-part Cosms, Codes, & Cryptologies article series, cited fully in footnote 11. 24. “Cosms, Codes, and Cryptologies: Quantum Mysticism Goes to Market”, Herescope, June 5, 2012; https://herescope.blogspot.com/2012/06/quantum-mysticism-goes-to-market.html. 25. 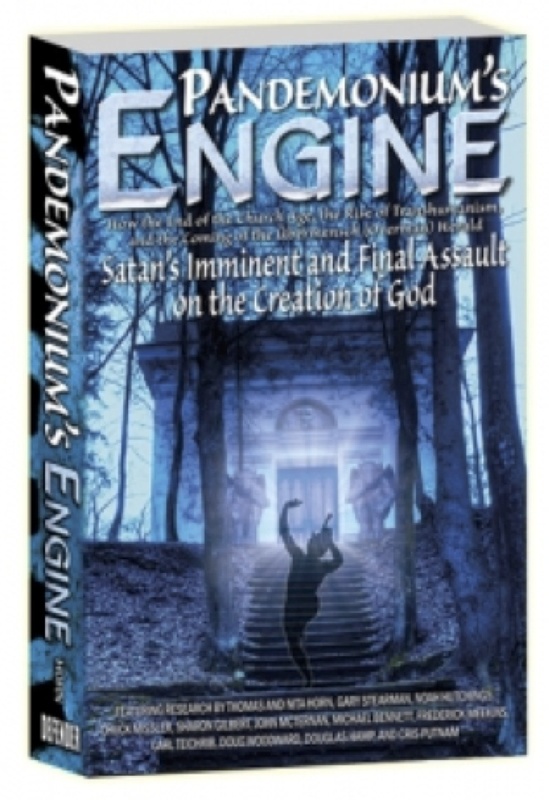 Thomas Horn, Pandemonium’s Engine: How the End of the Church Age, the Rise of Transhumanism, and the Coming of the Ubermensch (Overman) Herald Satan’s Imminent and Final Assault on the Creation of God, Defender Publishing, Crane, MO, 2011. Chapter 10 features Canadian researcher (Forcing Change), Carl Teichrib, “To Storm Heaven, To Be Like God, To Rule the World,” pp. 297-321. 27. See Derek Gilbert’s website (host of SkyWatch TV): http://www.derekpgilbert.com/2017/09/11/carl-teichrib-70000-pagan-festival-nevada/. 28. Carl Teichrib, Forcing Change blog, “Update on ‘Game of Gods’”, August 19, 2017; https://forcingchange.wordpress.com/. 29. See Teichrib’s blog: Carl Teichrib, Forcing Change blog, “Update on ‘Game of Gods’”, August 19, 2017; https://forcingchange.wordpress.com/. 31. Ibid. Horn’s book description on Amazon. 32. See the SkyWatch website: http://skywatchtv.com/2017/09/28/saboteurs-part-16-magical-agent-isis-impregnation/. 34. Ibid. Cahn’s book description on Amazon. 38. Ibid. Peck’s book description on Amazon. See note on Footnote 36 about Dominionism. 40. Ibid. Maginnis’ book description on Amazon. 42. Ibid. Johnson book description on Amazon. 45. See: Sandy Simpson’s website, A.W. Tozer, “Spiritual Authority: The Word and the Testimony,” 1950. Taken from a daily devotional, “Renewed Day by Day”; compiled by G.B. Smith, 1980; see: http://www.deceptioninthechurch.com/tozer.html. See also: DeceptionintheChurch.com.